TFQ: Your work has been described as "Kirby Kool". How does this make you feel? Mike: I can't imagine a compliment that would mean more to me personally, simply because Jack "The King" Kirby is my absolute favorite comic book creator. Period. Of course I realize my work could ever hold a candle to his. In fact, sometimes I go out of my way NOT to do something how he would do it because of failing by comparison. But that my work can be even remotely considered mentioned in context to his is very moving and encouraging. TFQ: What kind of comics were you into as a kid? Why did they appeal to you? Mike: I pretty much loved everything when I was a kid. If it was comic book, I dug it. I became more discerning as I got older. I was probably 17 before I started realizing that I had favorite artists like Kirby, Ditko, Barry Windsor-Smith, Romita, Bruno Premiani, Kubert, Toth, Buscema, Moebius, etc. And it was probably their unique qualities that drew me to them. TFQ: Do you plan to finish the Golden Plates project? 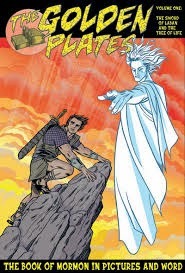 Any plans to revive this perhaps through Kickstarter? Mike: No plans. I know we did our very best and it was exhausting. It was also hurtful when Deseret Books didn't distribute the books like we'd believed they would. I would have to have someone drop a giant chest of money in front of me to even consider it. We had built a nest egg where we jumped into it without worrying about money. But when I started on the fourth volume, the money was gone as well as the support from Deseret. So, unless I could do it in that environment where I could immerse myself into it without any other concerns…it's too painful to even consider it otherwise. TFQ: What happened with Legend? Can you describe the situation from your point of view? Mike: Legend may have been the absolute best career boost I have had. I benefited greatly by just being invited to join those guys and be associated with them in any way. They were the Legends. I was the unknown upstart who was allowed to step into a giant spotlight. The natural progression would have been for Legend to form it's own publishing company they way Image moved from an imprint of Malibu Comics to become it's own company. But everyone was happy with Dark Horse and didn't want to make that leap. Eventually as everyone became involved in other things, the imprint didn't seem to be a priority and simply dissolved. TFQ: Something I ask everyone~ what is your favorite project to date? Mike: It's almost always the one I'm currently working on. 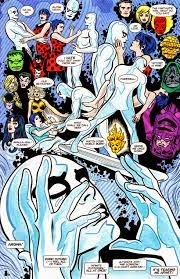 So right now I'd have to say Silver Surfer. 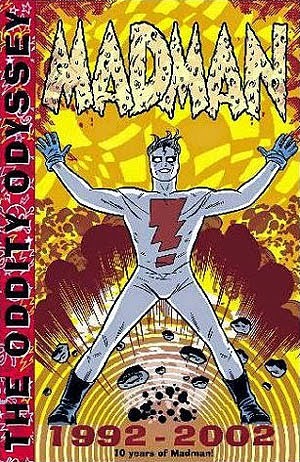 And, of course, MADMAN, since it's the most personal and consistently gratifying mainstay in my career.